Electronic waste (E-waste) generation is evaluated at 20–50 million tons, representing 1–3% of the general waste generated yearly worldwide. The large quantities of outdated and life-ended electrical and electronic equipment make it a fast-growing waste production all over the world. Printed circuit boards (PCBs) are the most highly valued precious components of E-waste. Apart from valuable metals, PCBs contain many dangerous and hazardous substances. The very unpredictable mix of such different important and hazardous materials combined in a small volume poses serious challenges for the recovery and recycling of these constituents. To prevent toxicity of these contaminants to humans and environment, it is inevitable to analyze the peculiarities and compositions of various materials in E-waste and determine how to manage their recycling via green ecofriendly processes. This paper will deal with the outline of E-waste problem, its diverse categories, composition, management, and various recycling processes especially the green ecofriendly ones with unique attention toward extraction of valuable metals. Unfortunately, despite the fact that many efforts to develop recycling technologies have been endeavored, these technologies are still rather exclusive and inadequate because of the intricacy of the E-waste system. Hence, the demerits of each process are debated and discussed from the viewpoint of technical advancement and environmental protection. 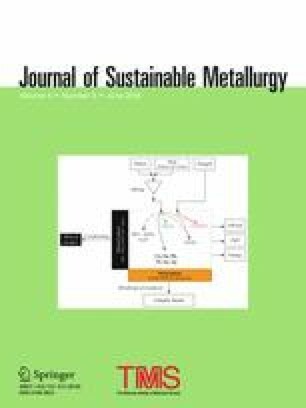 The authors are grateful to the Central Metallurgical R&D Institute for providing financial support to this work under Grant No. ID 72/2018. No competing financial interest is declared.